BARAK CODE is a remorseful recognition of Wurundjeri culture in my own suburb of Altona. 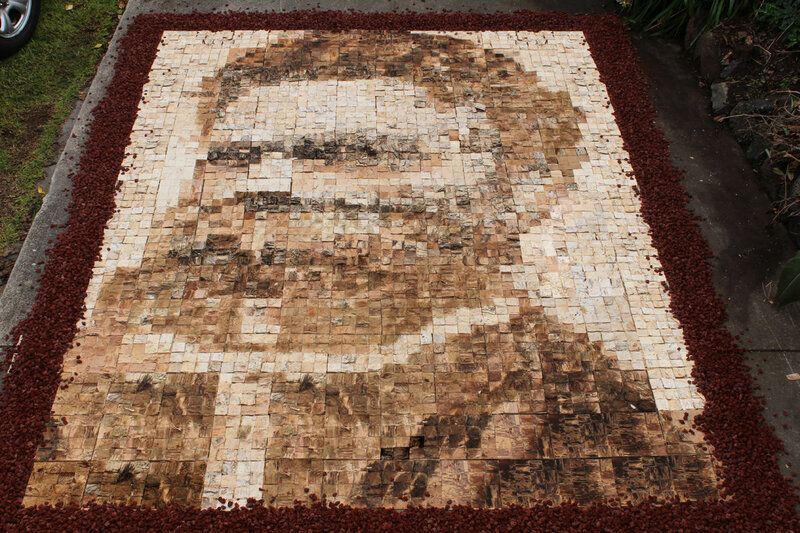 Paperbark sheets (Melaleuca quinquenervia) were lifted from trees in my own street to pixelate Barak, referencing Carl Walter’s 1866 photograph. This entry was posted in Uncategorized and tagged Recent Works on May 1, 2015 by admin.